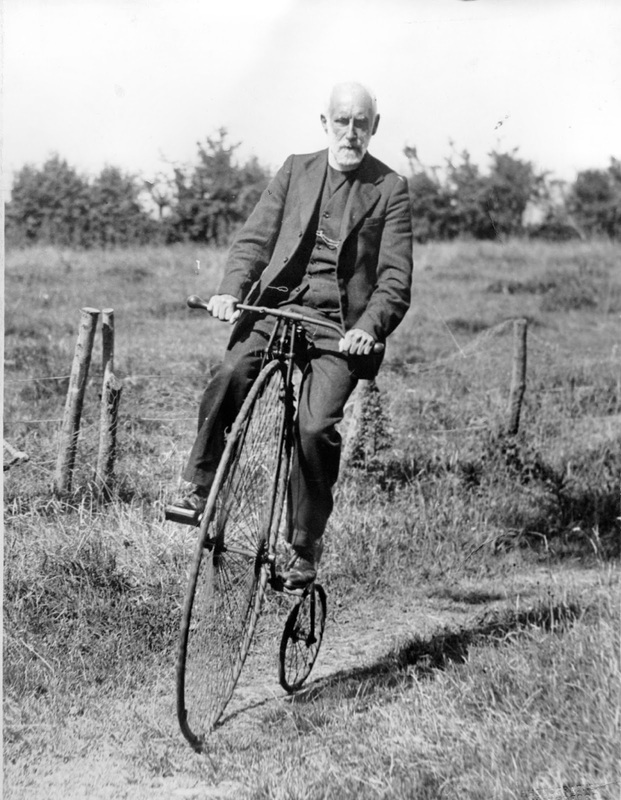 The first cycling club in Ireland was established in Dungarvan in 1869. The club was founded by Richard Edward Brenan the postmaster. 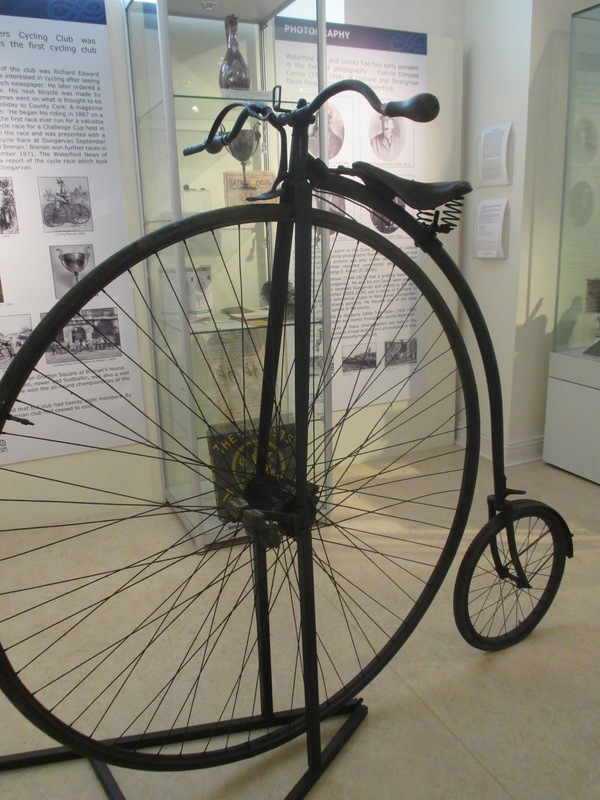 The first race for a challenge cup was run in September 1869 and the cup can be seen, along with the penny farthing, in Waterford County Museum. Amongst its members was the photographer Edmond Keohan. Dungarvan can with good reason claim to be the birthplace of Irish cycling. This penny farthing was owned and ridden by Canon Burkitt of Stradbally, Co. Waterford and there is a photograph of him cycling the bike in 1936 when he was in his seventies. Some people may recognise the bicycle as John O'Brien used to cycle it in the Dungarvan St. Patrick's Day Parade.